Financial PR firm M:Communications has hired a new healthcare PR chief and revealed 'ambitious plans' to shake up the sector. The agency has poached senior PRO Mary-Jane Elliott from rival agency Buchanan Communications to spearhead its growing healthcare practice. M:'s healthcare practice is based in the London office and will spearhead the global healthcare marketing efforts of M:'s parent company King Worldwide. The practice will specialise in corporate, finance and investor relations activity for clients across all subsectors of healthcare, including biotech, medical technology and healthcare services. Elliott has more than 12 years of healthcare experience in public and private companies. 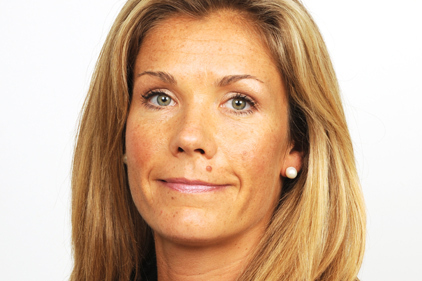 She joins from her role as partner at WPP-owned Buchanan, where she advised healthcare clients for more than six years. Before that, Elliott spent five years at FTSE 250 company PowderJect Pharmaceuticals, now part of pharma firm Novartis. She joined the company as a scientist in pre-clinical development, before working in the corporate comms and investor relations team. Elliott is the latest signing to the healthcare team. She joins consultant Emma Thompson, who was appointed last September. Thomp-son worked at FD as associate vice-president of healthcare. She brings with her extensive experience in healthcare services, pharmaceuticals, biotech and medical technology. M: has handled comms for the flotation of healthcare clients including Renovo and Imperial Innovations.